The Abaco Self-locking Dollies are heavy duty, all terrain dollies. The rubber is vulcanized to the jaws to prevent chips and scratches of finished work pieces. 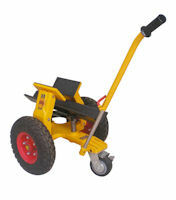 They are designed with self-locking jaws for maneuvering stone slabs around the shop, warehouse and job site. The self-locking jaws' clamping strength is proportional to the weight of the slab. Therefore, the heavier the slab, the greater the clamping strength. 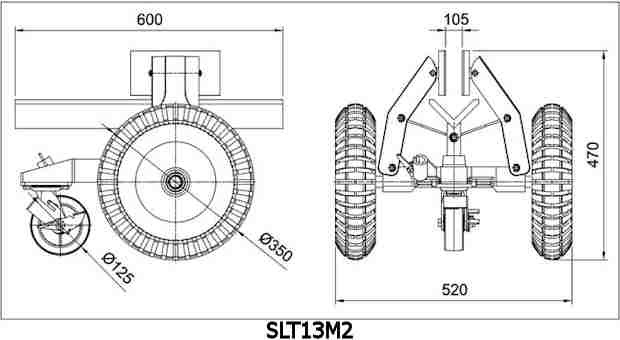 The M2 has two pneumatic tires and a caster. The M3 has two pneumatic tires and a kickstand. The M4 has two solid rubber tires and a kickstand.